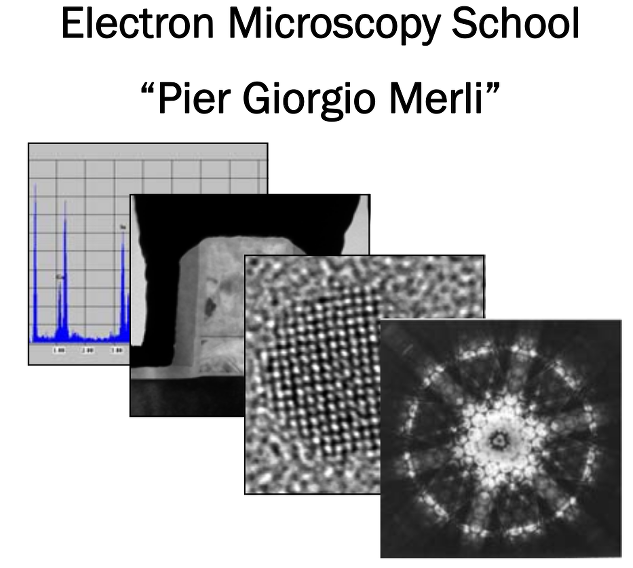 we are proud to announce the 7th edition of the “Pier Giorgio Merli” Transmission Electron Microscopy School, jointly organized by SISM and CNR-IMM, that will take place in Bologna in November 2018 (19-23, theoretical part) and in February 2019 (04-08, practical part). The school will provide students and researchers with a qualified introduction to TEM and STEM techniques for materials science. In the first week (19-23 November 2018), after an introduction to the (S)TEM working principles, the theoretical background of SAED, CBED, HREM, HAADF-STEM, EELS, EDS and Holography will be detailed. 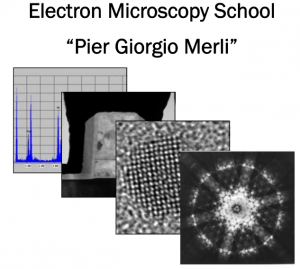 Examples of applications will include crystallographic phases identification, strain determination, studies of lattice defects, nanoparticles and nanotubes characterization in solids and devices, compositional investigations, analysis of phase variations. In the second week (4-8 February 2019), the knowledge acquired during the first part of the School will be put into practice. Students, under teacher’s supervision, will operate on the 200 kV Schottky FEG TEM-STEM (FEI Tecnai F20 ST) installed at the CNR-IMM Institute. Students will be also trained to the use of some of the available simulation and data processing software essential for (S)TEM work. A certificate of attendance will be given to all the participants and upon request a certificate of the acquired skills, that may be also used for academic credits, will be issued after an examination. As participation to the School is open to people from all countries the official language is English. Participants may choose to attend either the whole course or the theoretical part only (it is not possible to register for the practical course only). As to the practical course, to guarantee enough operating time to all the students, the maximum number of participants is limited to 10. The School will take place only if a minimum number of 6 registrations to both the theoretical and practical courses will be reached.